I love finding new places to camp! It is a great feeling knowing that you have stumbled across something new and inviting, and you are one of only a few special people that know about it! 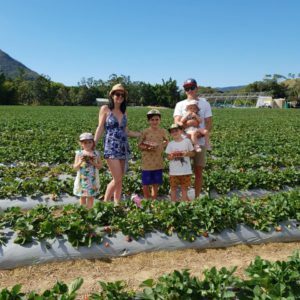 I also love spreading the word about these spots in the hope that you too can experience it for yourself and find a great new family friendly camp to add to your regular destination list. 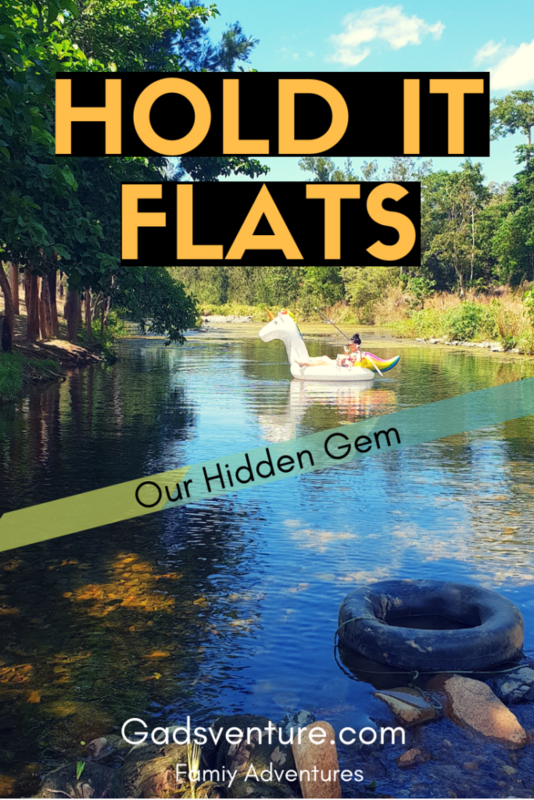 Hold It Flats is one such place! This post is not sponsored, but may contain affiliate links. For more info, please see our Affiliate Disclosure. Hold It Flats has only been open to the public since June 2018 and is part of the 130 acre cattle property owned by Katie and Jason. These guys are lovely hosts and possess a wealth of knowledge about all things camping, fishing, hunting and 4WDing. They come and welcome you when you arrive to show you a bit about the place, and to get you settled and can help with firewood provision too. They live a few hundred metres away on the side of the hill. 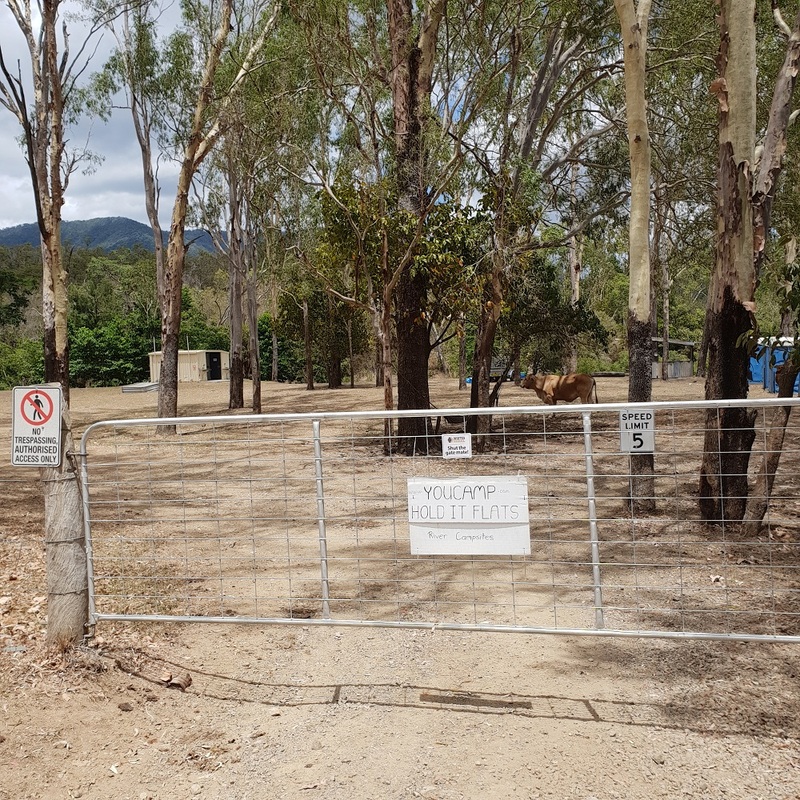 It is a lovely property, with fenced cow and horse paddocks, lots of trees and the crowning jewel of the O’Connell River running right past the campground. Katie and Jason also host an annual 4X4 event which draws over 1500 people here so you can see the grounds are set up for this with temporary bars, and toilets and showers, and dirt race tracks on the other side of the road. It would be a fun family event to go to! 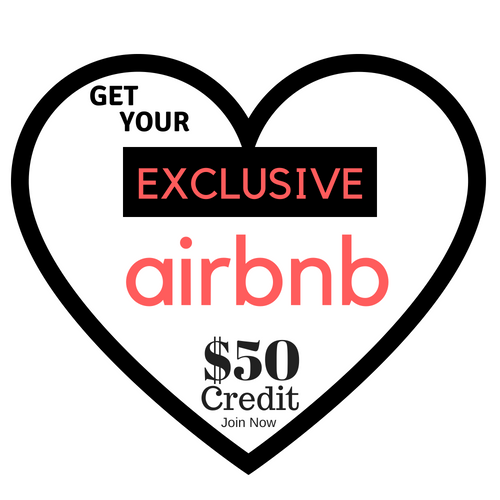 For more details check with Katie when you are booking in. 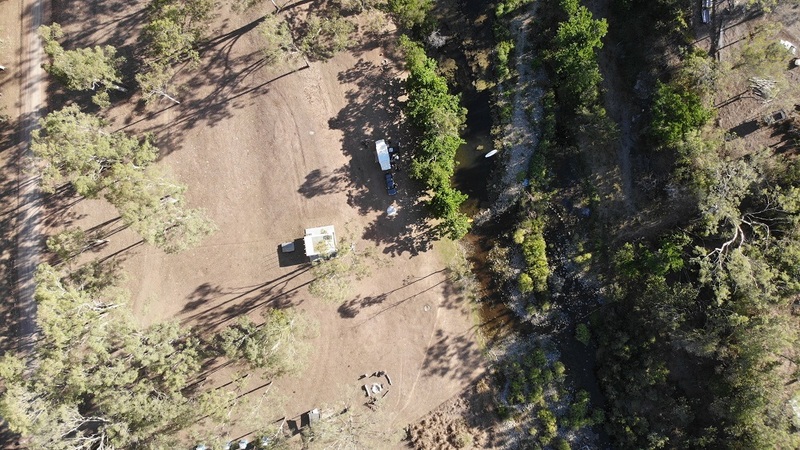 The camp sites themselves are beautifully positioned on a couple of flat terraces which step down to a great waterhole in the always flowing O’Connell River. Now, we visited in mid-November and we haven’t seen much rain at all for quite a while so we were a little bit skeptical when it came to the listing’s promise of a year-round waterhole. But we needn’t have worried. There was a little bit of weed around the edges sure, but it was definitely flowing, and we had a grand time swimming and floating around in it all day. We couldn’t help but think, if it is this good in the dry season, then it must be absolutely sensational after some proper rain! 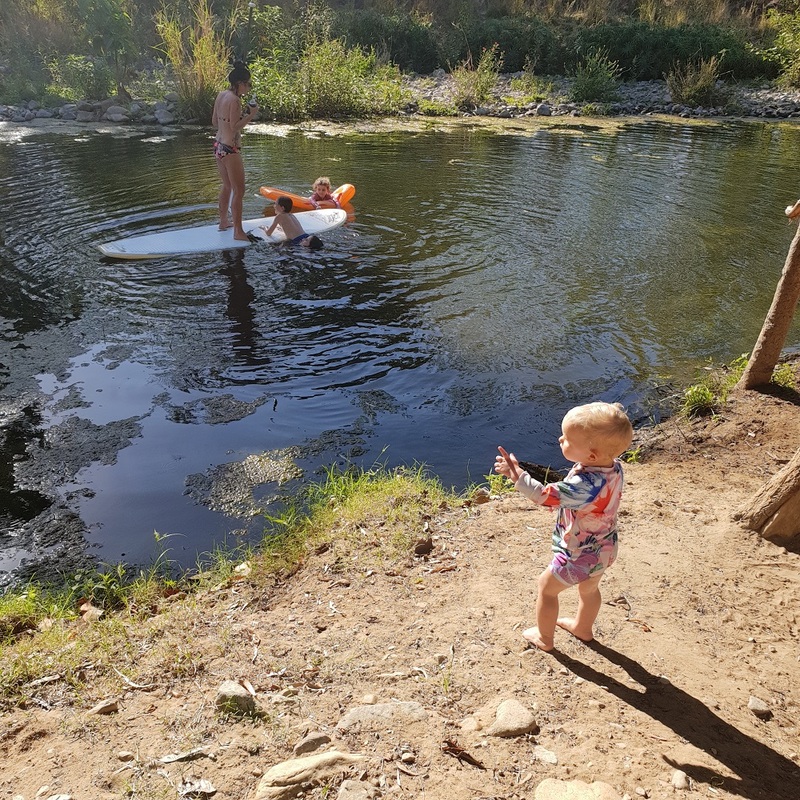 The pool is around 2 meters deep in some sections and then drops over rapids to a shallower flat section which was great for the little ones to play in. 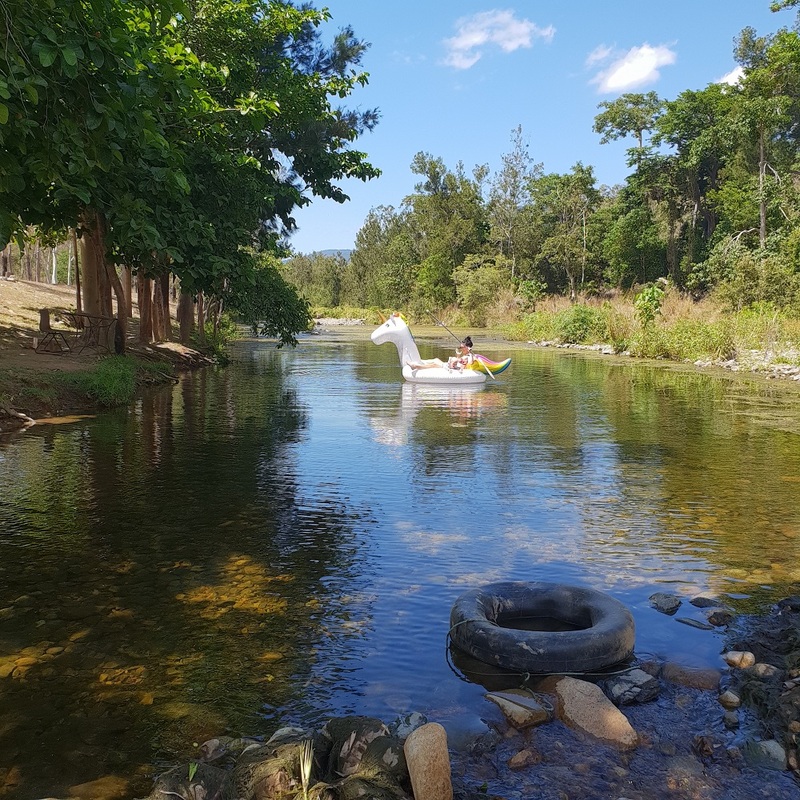 The upper reaches of the O’Connell River start right up in Eungella National Park so if there is rain up there, then this river gets the water. 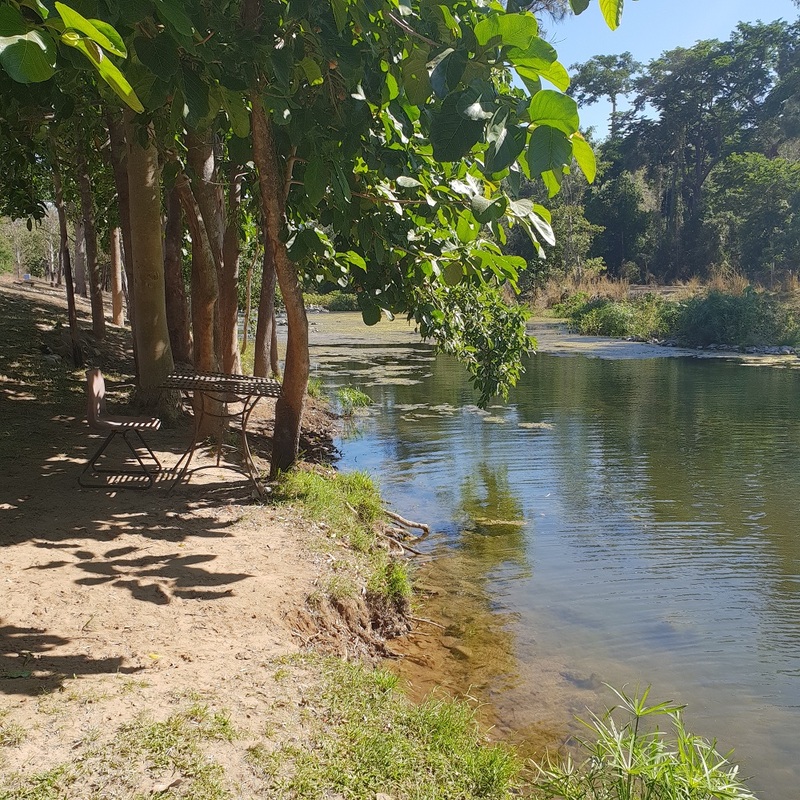 The riverbank is lined with gorgeous and heavily shaded native trees and even green grass which made it such a cool grove to relax in during the heat of the day. We parked right beside the waterhole in the most sublime spot with all day shade. Drive north on the Bruce Highway from Mackay and turn west at the Cathu O’Connell River road, at the sign that says Cathu State Forest. It is only 76 km north of Mackay or 55 km south of Proserpine. It is only about 2 km off the highway and you see a gate on your right saying Hold It Flats camping area. Go on in, set up and Katie will be there to say hi. 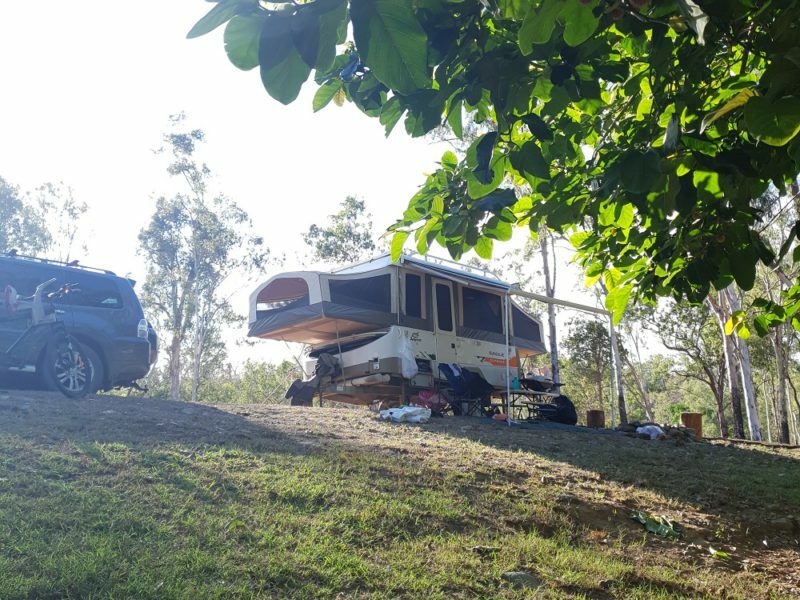 Hold It Flats is an easy 1 hour drive from Mackay which makes it such a perfect place for a weekend getaway. We got up there on Friday lunchtime and had the whole place to ourselves until Saturday when 2 other groups arrived. The late springtime temps were just right for a refreshing dip in the river by day, and pleasant enough at night to sit around a roaring campfire. A 2 night stay was perfect for us, but you could easily stay longer and get lulled into complete relaxation. 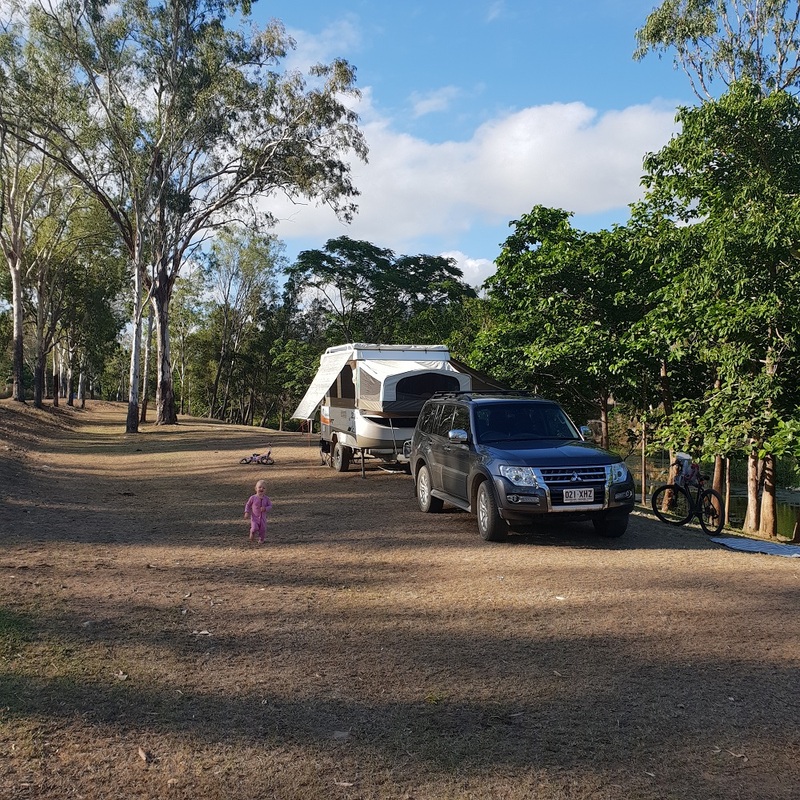 We swam, watched butterflies, played games with our kids, rode bikes around, checked out the 4WD race track, went and had a look at Cathu State Forest just up the road, drank cold beers and ate good food. It was a super nice and easy weekend. There is phone reception. Camp fires are allowed in the designated firepits and they do sell firewood here for $7 a bag. You can pre-order this when you book online, or easily organise it with Katie once you get there. The amenities are really good for a bush camp! 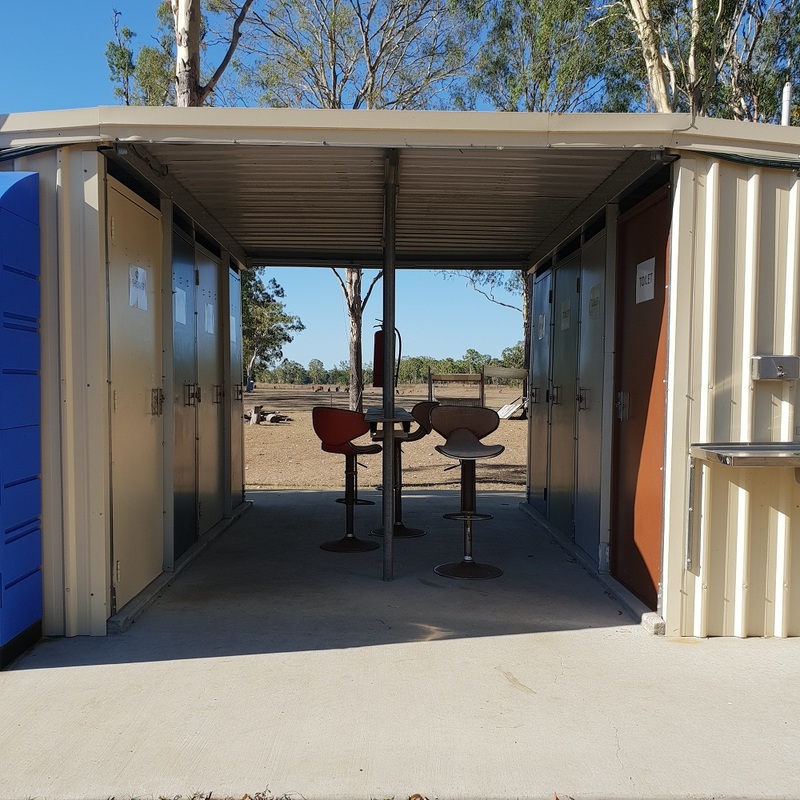 4 beautiful solar powered hot showers and 4 flushing toilets are positioned close to the riverfront sites. The hosts are not far away if you should want for anything, and they do check in with you on a regular basis. It felt like you were staying with family. Our daughter hurt her arm on the first night, (we took her to the Ambulance at Calen but luckily it wasn’t anything too serious) and Katie made sure she came and checked on her the next morning to see if she was ok. It was so nice of her! You get visited by cows and horses, farm dogs and plenty of birdlife and butterflies. And as you are on a working farm, your own dogs are not allowed. Hold It Flats is registered with YouCamp which is a relatively new (to me anyway) service which offers residents the opportunity to set up small private campgrounds within private properties. Their tagline is “Adventures on Private Land” and this pretty much perfectly sums YouCamp up! 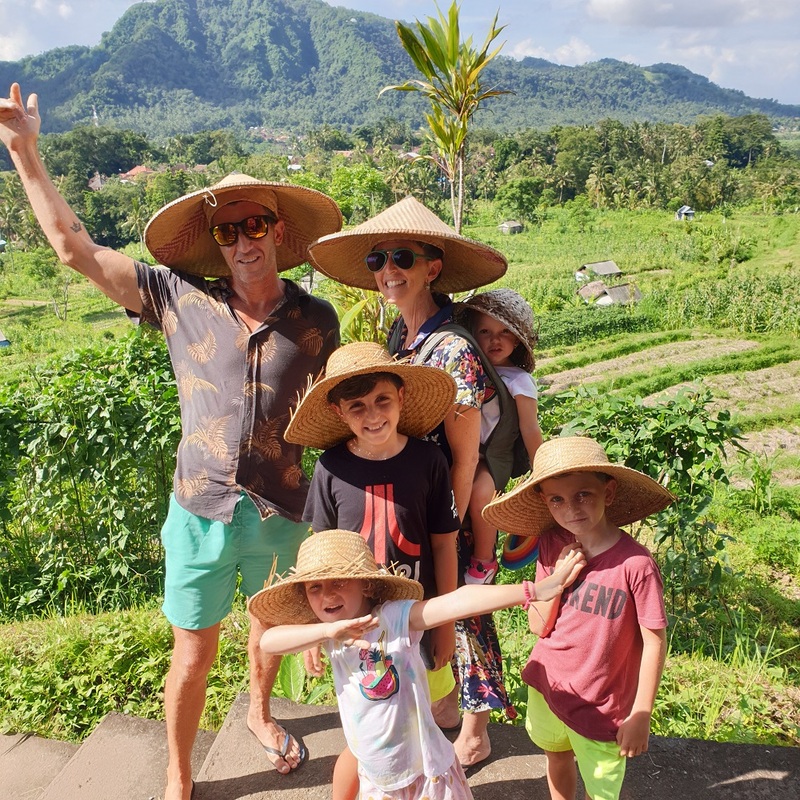 They started in 2013 with a couple of land owners in NSW who realised that they had such beautiful spots on their own properties that people would adore staying on. With an emphasis on simplicity and back to basics camping, it has since grown to a substantial number of listings. 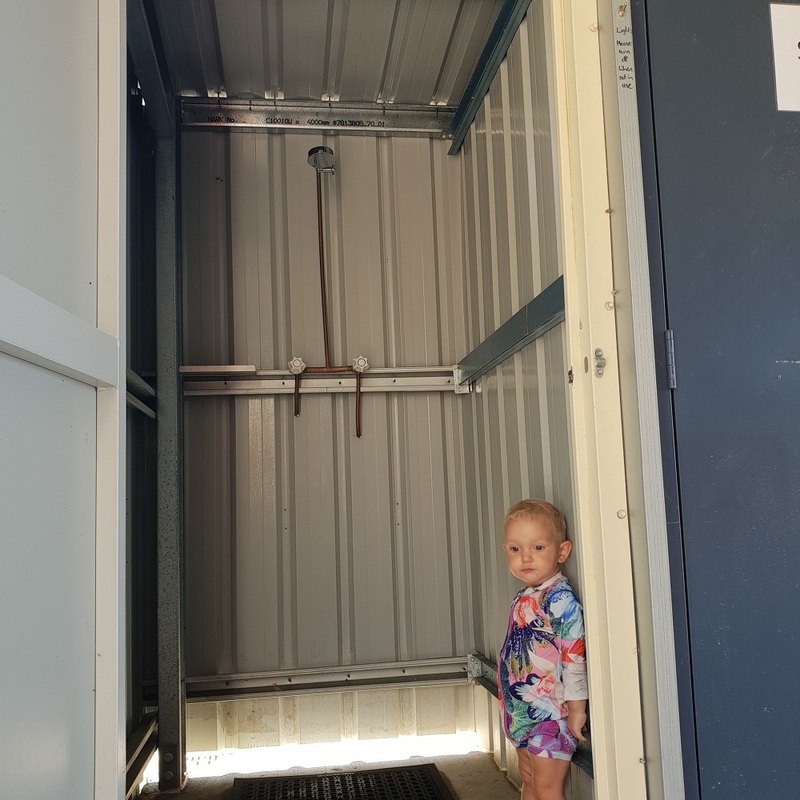 You can stay in anything from a gypsy wagon in Far North QLD to a cute farmstay on South Australia’s Fleurieau Peninsula, and everything in between. I really wish this existed when we travelled around Australia! The prices are great too! Owners can list their properties for free and are covered by public liability insurance with the part of the camping fees that are kept by YouCamp. Click here to be taken directly to Hold It Flats listing on YouCamp. It is a simple matter of setting up your YouCamp account and booking your dates for travel. Being relatively new, Hold It Flats usually has availability but there are only 8 riverfront sites so if it is a popular weekend, these will probably go first. The prices are $8.80 per adult and $4.40 per child. There are no powered sites and no slabs, just grass. Generators are permitted during daylight hours. Quiet time is encouraged after 9pm. Hold It Flats would be a perfect place to go for a weekend of getting away from it all. 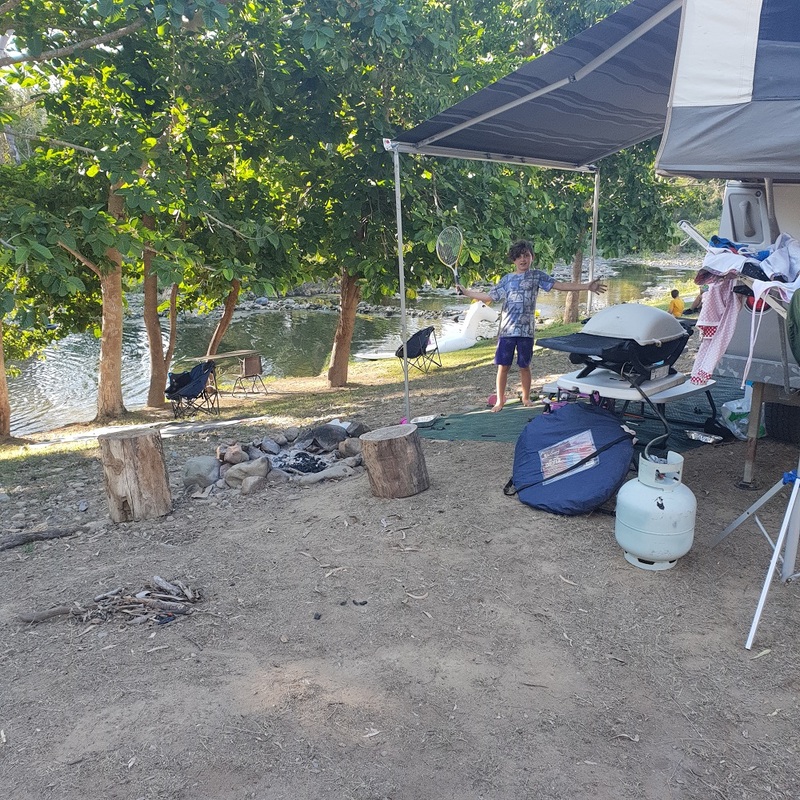 Camping with a group of friends or family would be ideal, and a group of kids will have plenty of fun exploring the river reaches or riding bikes around. The swimming hole wouldn’t cope with a massive crowd if it doesn’t rain soon so fingers crossed we have a good rainy season coming up! Check out some other great weekend family getaways in our local area for inspiration! Leave a comment below if you know somewhere we should review! Or get in touch with us here.